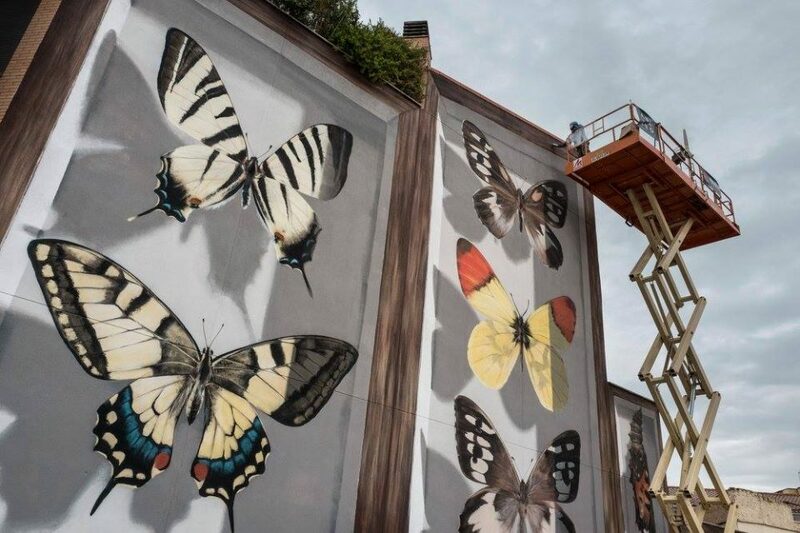 Throughout the last year, dozens of terrifying monstrous butterflies as big as pterodactyls have begun landing on the facades of buildings throughout France, Austria and other European countries. 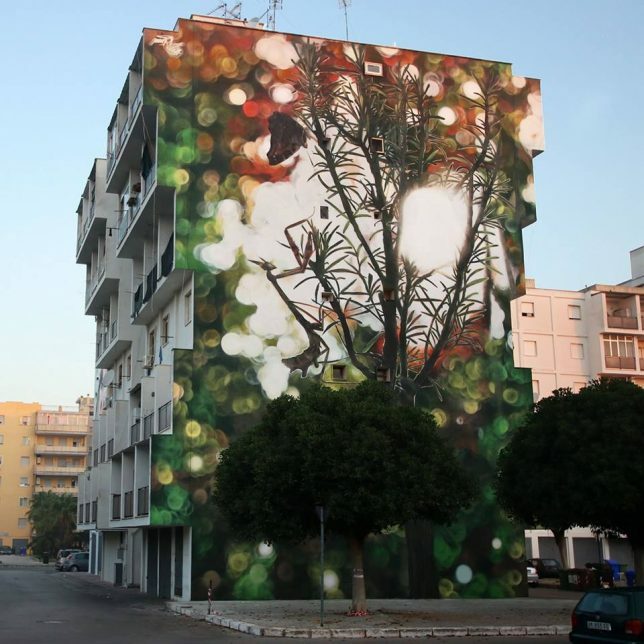 Many of them appeared in Spain during September 2017 during the Festival Asalto, an international urban art festival showcasing mural artists. 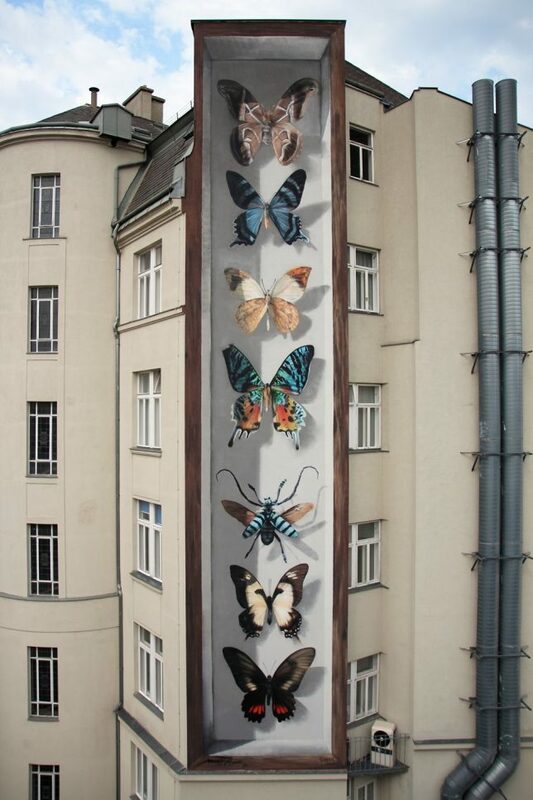 But, don’t worry, Mothra isn’t on the loose, after all, despite the incredible troupe l’oeil effect. 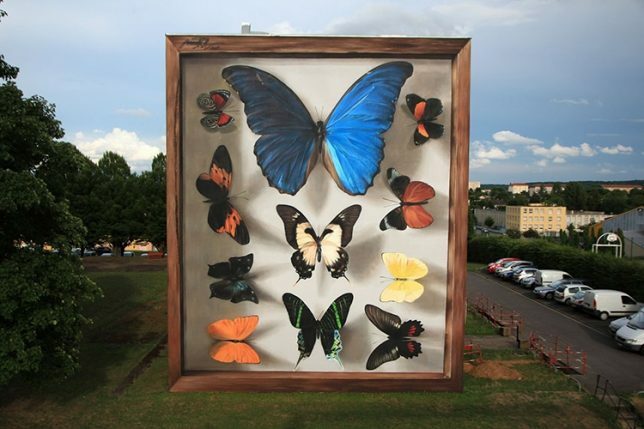 France-based street artist Mantra, who typically paints human subjects, has spent much of the last two years on a more entomological bent. 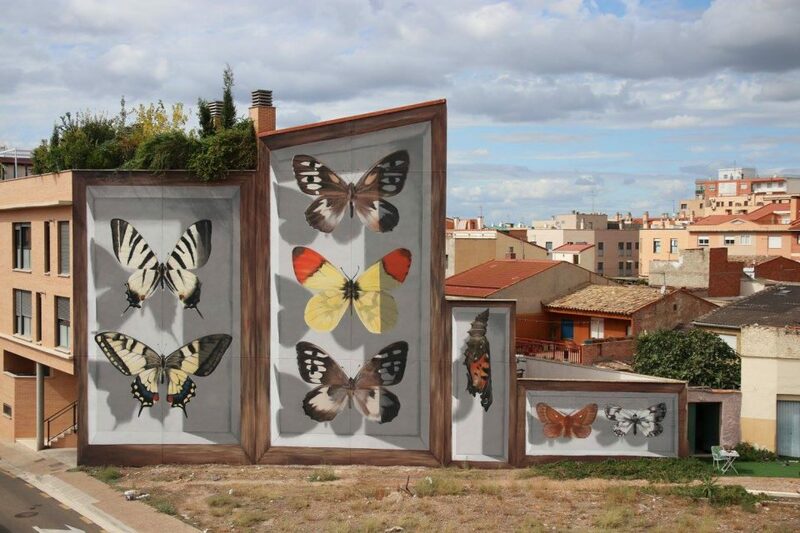 His multi-story butterfly murals are framed and shaded like shadowboxes, making the giant Lepidopteras in the fourth stages of their lives look like preserved specimens under glass. These ‘specimens’ are sometimes stacked as high as five stories, all the intricate details of their colorfully patterned wings magnified for our viewing pleasure. 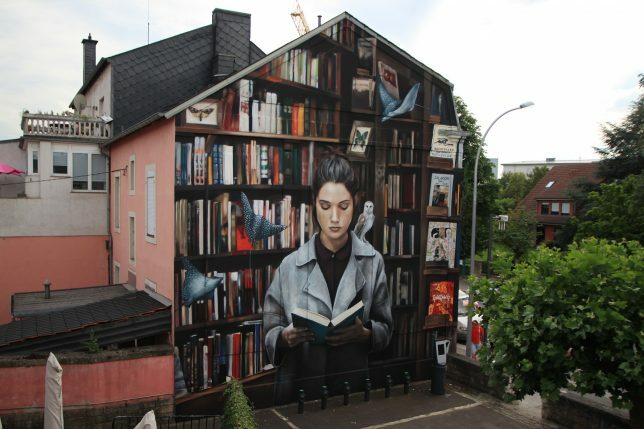 The shadow effects, which often still work at night as streetlights illuminate the facades of the buildings, really make the murals pop. 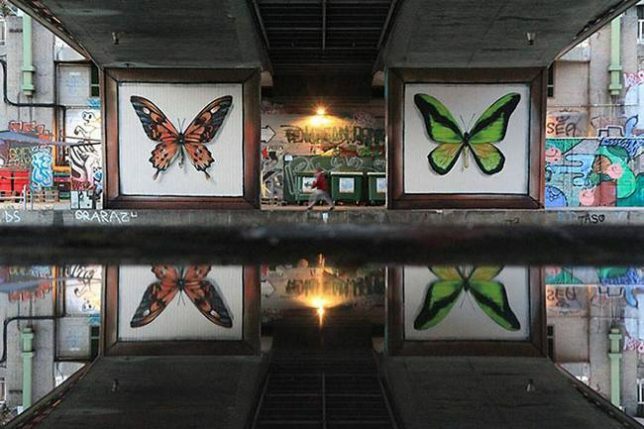 Here are a few examples of Mantra’s beautiful non-butterfly-related murals. 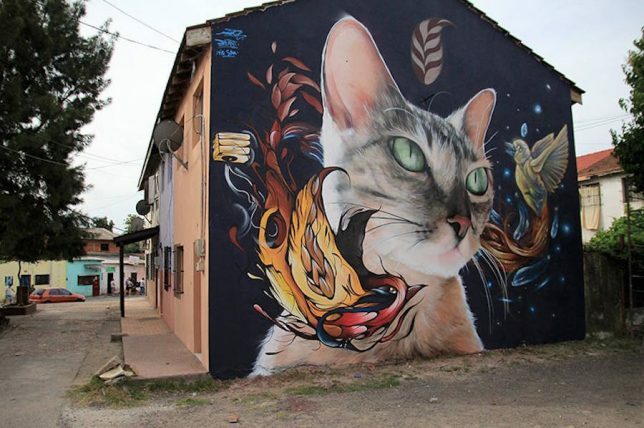 Check out more of his work on his Facebook and Instagram.